The idea of university professors or students working with the FBI or CIA probably makes you raise your eyebrows. But then perhaps you’re picturing someone like the fictional Henry McCord in Madam Secretary . 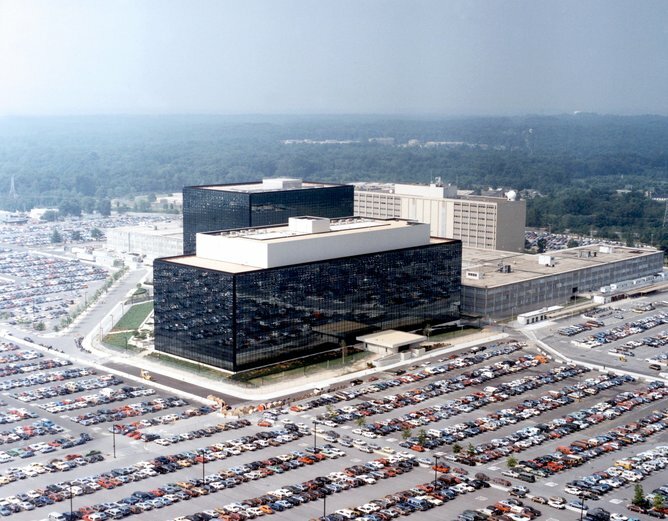 He’s a Georgetown theology professor who was asked to plant a bug for the National Security Agency (NSA) at the home of a scholar believed to be connected to a terrorist. Such covert operations do happen. But mostly, professors will be called to deliver a guest lecture to agents or a university will be contracted to help with research. This is true for organizations in the United States like the Defense Intelligence Agency (DIA) and the NSA, and for their counterparts elsewhere in the world. Such interactions make even academics wary. A tenured professor in the United States tends to be a liberal who is suspicious of the intelligence community’s (IC) methods and activities overseas. But the tactics used by America’s current and potential future enemies are constantly changing. This volatility and diversity of threats means that the IC needs higher education’s help. The events of September 11 2001 were a catalyst for change in the intelligence profession. In the 14 years since, the number of institutions associated with the field has grown so “large, so unwieldy and so secretive that no one knows how much money it costs, how many people it employs, how many programs exist within it or exactly how many agencies do the same work,” according to a two-year investigation published by the Washington Post in 2010. The IC has transformed and greatly expanded to address the shortfalls that became evident after 9/11. One of its moves was to expand the CIA’s Sherman Kent’s School of Intelligence Analysis which opened in May 2000 and became part of the new CIA University founded in 2002. Mainstream academia also started to develop specialized degrees in intelligence, homeland security and national defence. Those outside the IC may question why we need structures and organizations like the CIA, FBI and others. In his 2014 book Scientific Methods of Inquiry for Intelligence Analysis, academic Professor Hank Prunckun explains that intelligence is important because it allows control to be exercised in a given situation – and control equals power. His book forms part of the Security and Professional Intelligence Education Series, another resource developed for the emerging IC after September 11. This is a range of books focusing on intelligence, foreign policy, national security and business intelligence. Some universities have already recognized the role and value of intelligence. There are a number of new bachelors and master’s degrees, particularly in the United States, which focus on the areas of intelligence and national security. The goal of these new university degrees is to help create the next generation of professionals for the IC. One of the pluses of this arrangement is that universities have four years to develop skills like critical thinking and report writing. Intelligence organizations have only a limited amount of time to teach these abilities. Here are five skills or characteristics that students who want to work in intelligence communities can develop at university. A global focus: students need to start understanding how the world works. Many universities offer basic global politics courses, but regional focus minors, say in African geopolitics or the working of South East Asia, are helpful too. Students considering a career in intelligence should also try to study overseas to broaden their horizons. An inquisitive nature: thinking critically is arguably the most important skill one can develop in universities. Universities need to train problem-solvers who understand analytic methodologies and strategic concepts – and who can apply that knowledge. My conversations with staff from organizations like the NSA show they want young, creative thinkers who can think out of the box to identify gaps or problems. They don’t want “yes” men and women. A sense of immediacy: when I say current affairs, I mean seriously current. Universities must be quick to adapt to changing concepts and threats – like offering courses in cybersecurity or the IS. Communication skills: intelligence agents must be able to communicate effectively in writing, in a boardroom or in an elevator when they have just seconds with a director or policymaker. Multilingualism is a huge bonus, too. Research is another area where academia can contribute to the IC. It can be used to fill in gaps. There is also a major role for university students in open source intelligence – information that is already publicly available but needs to be gathered and analyzed. Students are often the same age as those who are joining extremist groups, and they are familiar with the latest social media platforms. They know what to look for and where to find it. It’s early days for intelligence studies as a university subject or academic discipline. In many ways, it is like criminology 100 years ago. Then, criminology was trying to distinguish itself as a unique speciality within the emerging disciplines of psychology, sociology and economics. Specific societies and journals were created. Observations, experiments and theories were developed. The number of universities offering an intelligence studies-related degree started with a handful. It has now expanded to a few dozen. Universities are starting to develop curricula that feature practical real-world exercises and structural analytical techniques. This is often happening in collaboration with the IC. Like most businesses or agencies do, universities are starting to develop specific niches. This expansion is being led by the International Association for Intelligence Education (IAFIE), which was formed in June 2004. Its mission is to advance research, knowledge and professional development in intelligence education. It is becoming more truly “international” as organizations like the Canadian Association for Security and Intelligence Studies and Australian Institute of Professional Intelligence Officers come on board. The field will only grow. It’s a necessary expansion to produce the professionals needed to ensure America’s national security and that of its allies for generations to come. Dr Scott Firsing is an expert in international relations with extensive overseas experience. Now based in South Carolina, USA teaching at The Citadel and Coastal Carolina University, he spent the last 10 years living in South Africa. Dr Firsing has traveled across the globe building a vast network in the academic, political and business circles. Dr Firsing is an Adjunct Research Fellow at the South African campus of Monash University where he previously served as a Senior Lecturer and Head of the International Studies Department. In 2012, the London School of Economics and Political Science (LSE) selected Dr Firsing as an African leader, attending intensive leadership training in the UK. He has completed fellowships at the South African Institute of International Affairs (SAIIA) and the Institute for Global Dialogue. Dr Firsing is the founder of the NGO Young People in International Affairs (YPIA) and is a co-founder of the Aerospace Leadership Academy (AERLA).